Mr. Trump has shut down our government hurting the most vulnerable federal employees and suppliers by taking away their weekly pay; he's hurt the American people by creating a seriously stupid gaping hole in our border security by not paying our Homeland Security people; he's put at risk countless people by taking away the weekly pay of our Coast Guard service members. 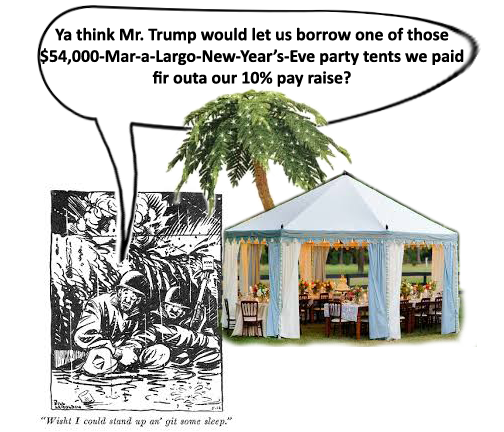 Then to top it all off, he added insult to injury using $54,000 in federal funds to pay for his Mar-a-Largo New Year's Eve party tents. 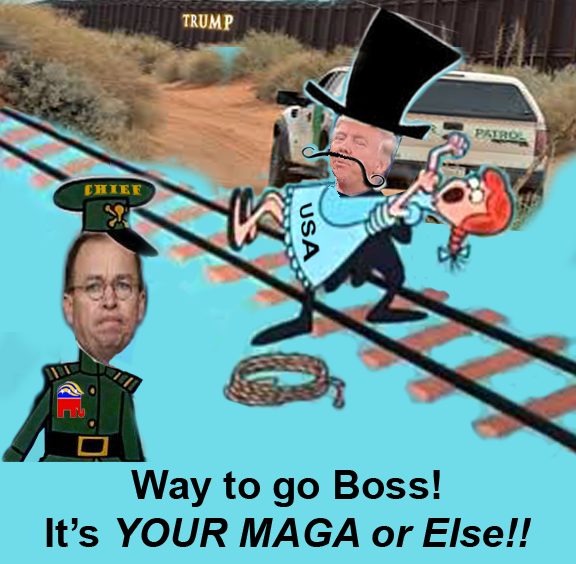 There simply is no justification for Mr. Trump's shutdown. None, that is, save for one that only a psychopath could come up with... causing needless pain for the most vulnerable of our people. And, then seemingly enjoying every second of their pain to get his way. Oh, the cost? 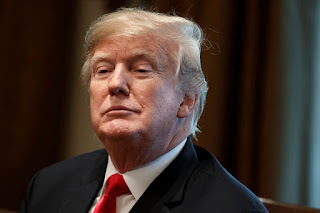 In a recent article, the Washington Post quotes S&P Global analysts saying, "...a shutdown would cost the economy about $6.5 billion per week. As for those serving the people of the United States out of their sense of duty... they continue to serve their nation without pay. *I hope you'll for give me, Mr. Mauldin. But, I think you'd agree with what I'm trying to say. 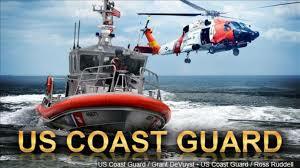 The Coast Guard is America's Maritime First Responder. Gaius Julius Caesar feared the Druids. He knew them as powerful, knowledgeable, leaders of the Celts, the people who lived in northern Europe from Ireland to Turkey. So, he did his best to eliminate them. 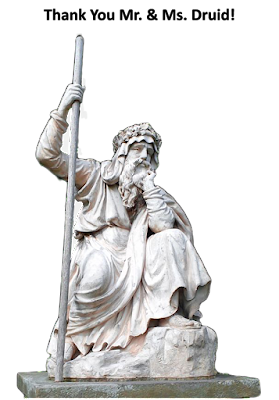 Sadly, through much of Europe and Britain, he and other Roman conquers succeeded. But they never subdued the people of the land that is today called Ireland. The Druids knew a thing or two about life and how one might live in our world. They excelled in what we call medicine today. They knew about healing. Possibly, more than we understand today. Fortunately, a few researchers are learning about the old ways and applying them today. Take Dr. Gerry Quinn, for example. As a resident of Boho, County Fermanagh, Northern Ireland, he grew up with the healing traditions of the area which was, “previously occupied by the Druids, around 1500 years ago, and Neolithic people 4000 years ago”. “Our results show that folklore and traditional medicines are worth investigating in the search for new antibiotics. Scientists, historians and archaeologists can all have something to contribute to this task. It seems that part of the answer to this very modern problem might lie in the wisdom of the past." My guess is that it's likely there is more to learn from our ancestors. Perhaps we should look and listen. We might discover that the Druids knew more than just about an antibiotic that takes out MRSA. 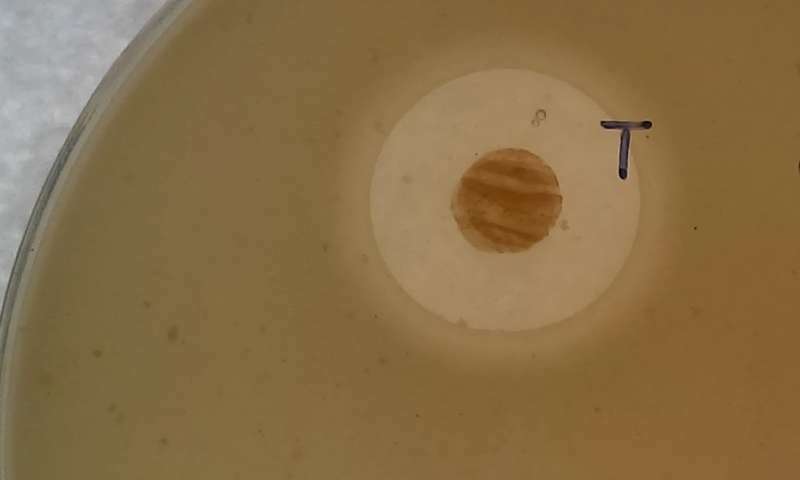 Bacteria found in ancient Irish soil halts growth of superbugs—new hope for tackling antibiotic resistance, Swansea University Medical School, phys.org, 27 Dec 2018. Do you subscribe to the idea that learning is forever? I’ve come to search for “rational” answers to perplexing anomalies which simply don’t make sense when viewed from accepted or “orthodox” teachings. One of these is astrophysics. 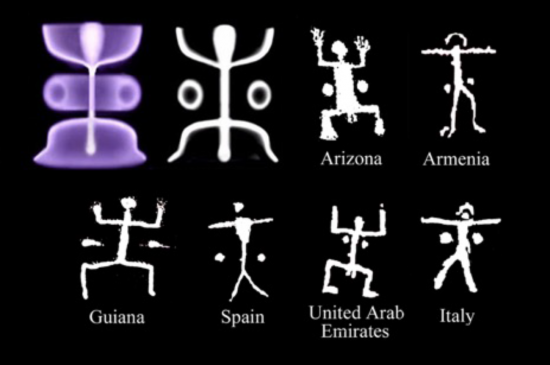 Simply put, I have serious issues with how our science professionals, historians, and religious leaders see our universe and humankind’s place within it. 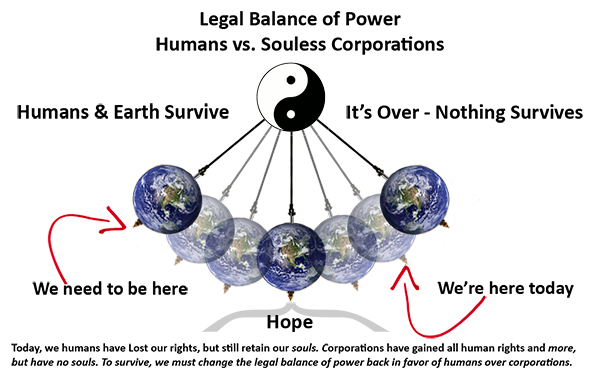 In many ways, The Electric Universe offers a refreshing perspective on some of these conundrums. Perhaps, like the federal government, the science of astrophysics might be in the wrong hands. Here's a thought, if stupid is forever, as one of my friends remarked, alternatively, the new year may offer us a chance to learn more about the "truth" of our existence and prove to ourselves that we no longer must remain willfully stupid. A new scientific paper provides stunning affirmation of one of the most striking predictions of the Electric Universe/catastrophist hypothesis. The paper, published in the Journal Icarus, reports that the water on Saturn’s moons and in its rings is remarkably similar to water on our own planet, a completely unexpected finding for planetary scientists. As surprising as this connection between Saturn and Earth is for planetary scientists, the connection was in fact explicitly predicted by one of the great scientific heretics of the 20th century. Nearly three-quarters of a century ago, Dr. Immanuel Velikovsky proposed that within human memory, a period of chaos reigned in the inner solar system. In this scenario, one of the migrating planets was Saturn, and it was Velikovsky’s seemingly outrageous thesis that the water in Earth’s oceans came from the gas giant. 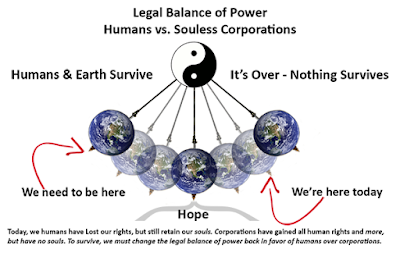 In part one of this two part presentation, physicist Wal Thornhill outlines the incredible and ongoing predictive success of the electric universe/catastrophist paradigm. 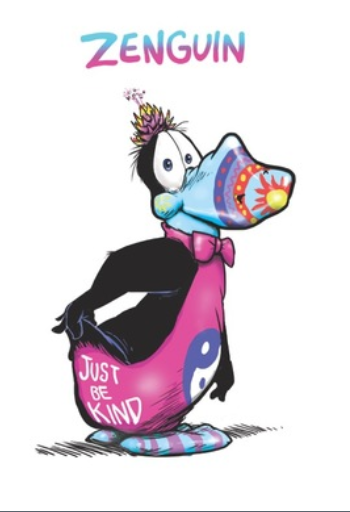 A little bird told me that we all need a break from today's nonsense. 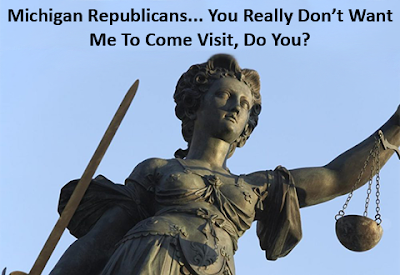 So, here's a Reprise... and soon you, too, will know what is happening to America. So, are you still looking for coverage of this story in your corporate media of choice? Trump Foundation To Shut Down Amid Lawsuit Against The Charity, Nina Golgowski, Huffington Post, 18 Dec 2018. Ddo you hear what I hear? "Do You Hear What I Hear?" is a Christmas song written in October 1962 with lyrics by Noël Regney and music by Gloria Shayne Baker. Noel Regney wrote the lyrics for the song, while Gloria Shayne Baker composed the Christmas carol's music in October 1962. This was an unusual arrangement for the two writers. 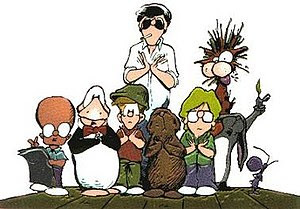 Usually it was Baker who wrote the lyrics for their songs while Regney composed the music, as they did on their classic children's song "Rain Rain Go Away". "Do You Hear what I Hear?" 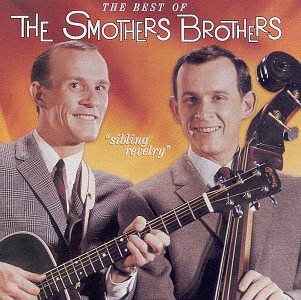 was released shortly after Thanksgiving in 1962. The song was originally recorded by the Harry Simeone Chorale. It went on to sell more than quarter-million copies during the 1962 Christmas holiday season. 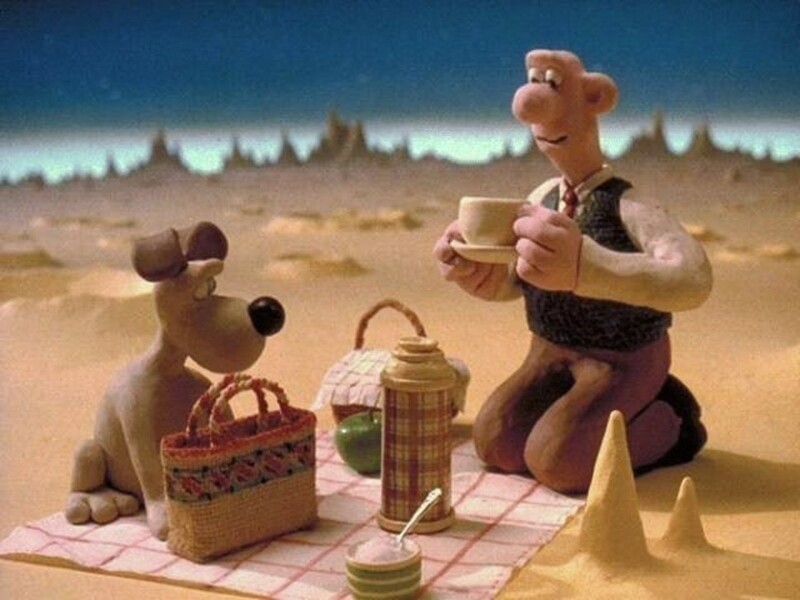 Wallace and Gromit on the Moon enjoying their cheese and crackers. One or two of my friends say we never landed on the moon. All that NASA stuff was faked. But, like the guy below, writer/director S G Collins, I wasn't there to see them exit their lander, either. Still, I did watch the moon landing on "live" TV. And, like Collins, I worked with studio stuff back in the olden days. For me, it seems a bit out of reach to believe the technology of that time would have been up to the degree of fakery required. So, here is the story... anyway. 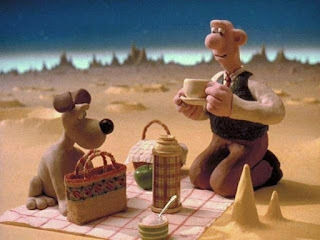 Wallace and Gromit land on the Moon to hunt for Cheese in this classic clip from the Oscar winning film, A Grand Day Out. How big must the scandal be… how much money, how deep, how many people must be involved… before you start to puke, like a sick puppy? When will we call our Congress people to tell them that we want something done about it? When will we call our pension fund managers, city county and state treasurers, and tell them to stop buying U.S. securities because we have lost trust in our U.S. government? Yes, this is more than screwed-up accounting errors. Even today, in the age of the most corrupt presidency in the history of the U.S., this scandal dwarfs all preceding scandals. This one is no run-of-the-mill Trump corruption. No, this is $21 trillion, and likely much more. This one takes malfeasance and misfeasance to the highest degree in the history mankind. This scandal begs the question: How is possible for any citizen to trust our government with our tax monies when they have lost track of $21 trillion? Now, It’s O.K. to cleanse your stomach, stand up straight, then move forward, stay on mission, and correct this massive wrong. The Pentagon's Missing Trillions: What You Need to Know, Corbett Report Extras, 18 Dec 2018. Dr. Mark Skidmore of Michigan State University joins us to discuss his research with Catherine Austin Fitts into the $21 trillion in unaccounted transactions on the books of the US Department of Defence and the US Department of Housing and Urban Development. We discuss what we know and don't know about the subject, the Pentagon's nonsensical and inadequate excuses for the debacle, the new accounting guideline that legally allows every department of the federal government to create fake and altered books for public consumption, the recent failed Pentagon audit, the government's refusal to provide any information about the problem, the failure of congress to pursue the issue, and the failure of the press to report on it. Is Our Government Intentionally Hiding $21 Trillion In Spending?, Laurence Kotlikoff, Forbes, 21 July 2018. Rep. Alexandria Ocasio-Cortez (D-NY) You are right to continue questioning the missing $21 trillion! Please don’t stop! The Pentagon Failed Its Audit Amid a $21 Trillion Scandal (Yes, Trillion), Lee Camp, truthdig.com, 18 Dec 2018. Labels: $21 Trillion, fraud, puke, scandal, U.S.
O.K. Stop tweeting. Stop texting. Watch these two clips of Ralph Nader interviewed by Amy Goodman, Democracy Now! Your life and the lives of those you love depend upon it. A new book by longtime consumer advocate, corporate critic and former presidential hopeful Ralph Nader links the criminality of the Trump administration to the unchecked power of previous U.S. presidents, including Bill Clinton, George W. Bush and Barack Obama. In “To the Ramparts: How Bush and Obama Paved the Way for the Trump Presidency, and Why It Isn’t Too Late to Reverse Course,” Nader argues that the U.S. federal government is fundamentally corrupt, warmongering and owned by corporations—but he also issues a call for members of the public to hold their representatives and senators accountable, including by building local commerce watchdog groups across the country and utilizing “citizens summons” to force members of Congress to appear before residents of their districts. Now, let's do what Ralph suggests. Following the Bush/Cheney 9/11 false flag crimes and the 9/11 wars in Afghanistan and Iraq, Congress voted your rights away by passing three, Bill of Rights busting laws: (a) the USA PATRIOT Act (Yes, Congress “repealed” the Patriot Act. But it was in name only. Now we must work to revise the Freedom Act.) (b) the Military Commission Act and (c) section 1021 of the National Defense Authorization Act of 2012. 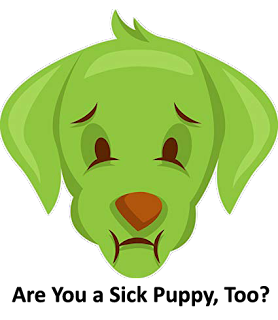 One step toward rectifying these egregious decisions is coalescing in the Green New Deal. Not only can wrongs be corrected, the process of doing so can be financed through an end run past obstructionist Republicans and their big, dark money corporate sponsors. It’s a move similar to the one that President Franklin Roosevelt (FDR) pulled off back in the 30s. Rep. Alexandria Ocasio-Cortez (D-NY) has presented an outstanding way for funding the Green New Deal. The idea worked in the past and it can work now, so says Ellen Brown, JD*, a banking expert who knows a thing or two about banking, the Federal Reserve, finance, and Public Banking. She is the author of 12 books, including best-selling book, Web of Debt, and hundreds of articles. This Radical Plan to Fund the ‘Green New Deal’ Just Might Work, Ellen Brown, truthdig.com, 16 Dec 2018. 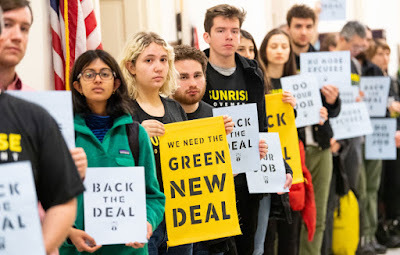 “With what author and activist Naomi Klein calls “galloping momentum,” the “Green New Deal” promoted by Representative-elect Alexandria Ocasio-Cortez, D-N.Y., appears to be forging a political pathway for solving all of the ills of society and the planet in one fell swoop. Her plan would give a House select committee “a mandate that connects the dots” between energy, transportation, housing, health care, living wages, a jobs guarantee and more. But even to critics on the left, it is merely political theater, because “everyone knows” a program of that scope cannot be funded without a massive redistribution of wealth and slashing of other programs (notably the military), which is not politically feasible. *Ellen Brown is the founder of the Public Banking Institute and the author of a dozen books and hundreds of articles. She developed her research skills as an attorney practicing civil litigation in Los Angeles. In the best-selling Web of Debt (2007, 2012), she turned those skills to an analysis of the Federal Reserve and “the money trust,” showing how this private cartel has usurped the power to create money from the people themselves and how we the people can get it back. Sunrise Movement Members on Capitol Hill... before being jailed. More than 1,000 young people and allies flooded the Capitol Hill hallways and offices (10 Dec 2018) of Democratic representatives to demand that elected officials listen to their youngest constituents — as well as some of the world’s top scientists — and back the bold proposal to shift the US to a zero-carbon energy system by 2050 in order to save the planet from an irreversible climate catastrophe. Thanks to efforts spearheaded by the youth-led Sunrise Movement, the number of Democratic lawmakers now supporting a Select Committee on a Green New deal has now swelled to 23. Did your mainstream media of choice cover this story? Over 140 Arrested as Youth-Led Demonstrators Demand Green New Deal, Julia Conley, Common Dreams, truthout.org, 11 Dec 2018. 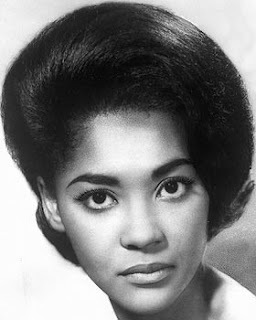 The great, the one-and-only, Nancy Wilson was born just a short while ago, in a little south-central Ohio town, Chillicothe, to an iron-worker and a maid. I first heard her sing while working for a radio station. Grammy-Winning ‘Song Stylist’ Nancy Wilson Dead At 81,Andrew Dalton, Hillel Italie, AP, Huffington Post, 14 Dec 2018. "Wilson also had a busy career in TV and film, and spent years hosting NPR’s “Jazz Profiles” series." 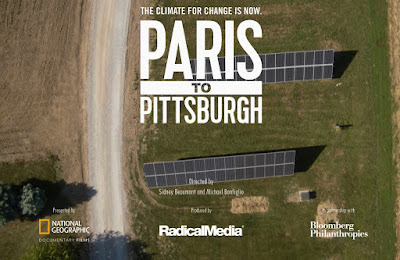 Yesterday, Gary, my brother, sent a link to the National Geographic Documentary Film, Paris to Pittsburgh. 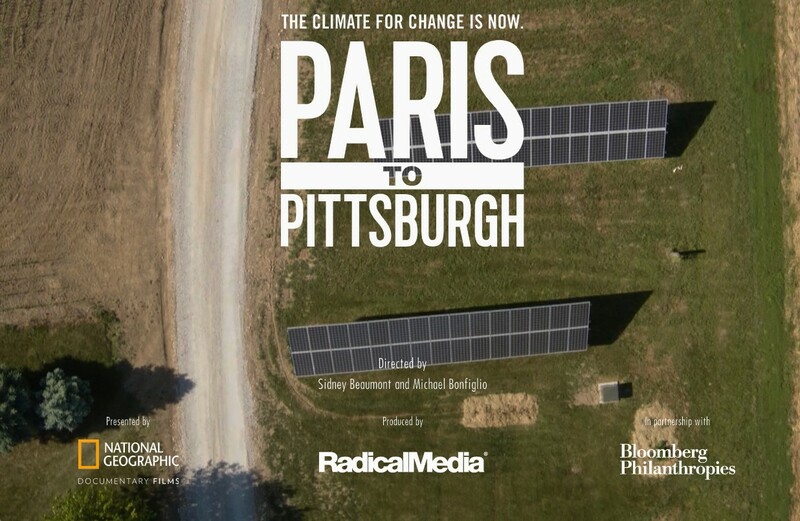 "From coastal cities to America's heartland, Paris to Pittsburgh highlights how Americans are demanding and developing real solutions in the face of climate change. As the weather grows more deadly and destructive across the the nation, they aren't waiting for Washington to act." I watched the entire show, streaming from the NG website. 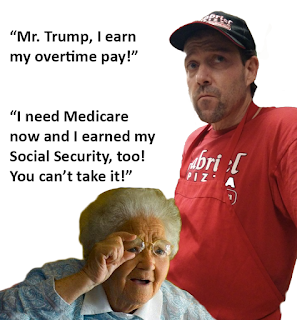 It is an excellent “status” report that left me with a rebirth of my faith in our local and state people who are working for the benefit of all, overcoming the stupidity of the Trumpers. It has long been fact throughout the world that renewable / sustainable energy is the way to go for several reasons, one of which is because millions of home and small business conversion to sustainable energy means good-paying jobs for many, many people. For more please go here… for more from me... and, here for The Renewables 2016 Global Status Report (PDF). How do you spell leader? Today, I spell it this way: Rep Nancy Pelosi (D - CA). In a recent meeting at the White House, Leader Pelosi stood tall in the face of a bellowing, bully-child-man. Yes, this woman knows a thing or two about facing down the tissue-thin monstrosity currently occupying the Peoples’ House. And, she did, too, unlike hundreds of "tough-as-steel-type" male politicians. How Nancy Pelosi Masterfully Dismantled Trump, Emily Peck, Huffington Post, 12 Dec 2018. I'll bet 10 cat's eye marbles that Leader Pelosi doesn't need a wall to prove she's The Leader. I so want to believe that a first step has finally been taken toward justice for the cold-blooded murder of nearly 2,974 innocents, hundreds of first responders, hundreds of thousands of 9/11 war casualties, and millions of innocents forced into exile due to the 9/11 wars, which were falsely and deceptively engaged by the Bush/Cheney administration. 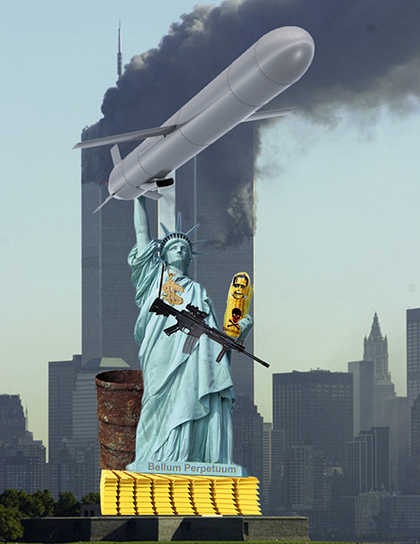 The Grand Jury may help us begin to unpack the truth about 9/11. If so, that truth will set us free. I’ll bet 10 cat’s eye marbles that you didn’t hear about this in the mainstream media… but, now you have… through the blogosphere. Here’s more from Downriver USA about 9/11. And, more from the International Bureau of Forensic Investigations here. Finally, I’m still struggling to come to terms with the faith-shattering evilness within those responsible for the 9/11 murders and the resulting holocaust they spawned. I came across some audio from Jim Garrison’s presentation to the Southern California Broadcaster Association (1967) this morning. As I listened to him speak, I was startled by his prescient comments about the role of media and the rise of Fascism in the USA, as well as his recounting of facts from his findings regarding JFK’s murder. 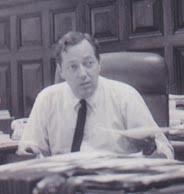 Garrison is perhaps best known for bringing charges against Clay Shaw in 1967. Shaw was the only person prosecuted in connection with the assassination of President John F. Kennedy. He was acquitted. Garrison charged that Shaw, along with others including David Ferrie and Guy Banister, were involved in a conspiracy with elements of the Central Intelligence Agency (CIA) in the murder of JFK. Shaw denied any connection with the CIA, but in 1979, Richard Helms, former director of the CIA, testified under oath that Shaw had been a part-time contact of the Domestic Contact Service of the CIA. In 1996, the CIA revealed that Shaw had obtained a "five Agency" clearance in 1949. Garrison was a hero. I hope more like him will come forward today. Massachusetts Institute of Technology (MIT) researchers have created a brilliant solution for reliably and inexpensively storing renewable energy. 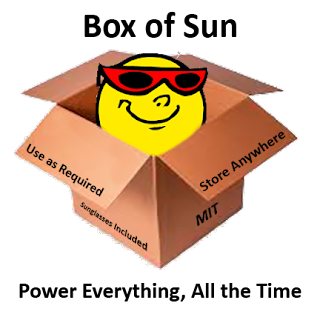 They call it, Sun in a box. 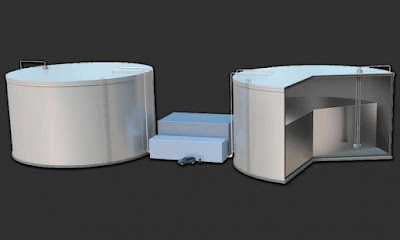 'Sun in a box' would store renewable energy for the grid, Jennifer Chu, Massachusetts Institute of Technology, techxplore.com, 6 Dec 2018. "MIT engineers have come up with a conceptual design for a system to store renewable energy, such as solar and wind power, and deliver that energy back into an electric grid on demand. The system may be designed to power a small city not just when the sun is up or the wind is high, but around the clock." "The new design stores heat generated by excess electricity from solar or wind power in large tanks of white-hot molten silicon, and then converts the light from the glowing metal back into electricity when it's needed. The researchers estimate that such a system would be vastly more affordable than lithium-ion batteries, which have been proposed as a viable, though expensive, method to store renewable energy. They also estimate that the system would cost about half as much as pumped hydroelectric storage—the cheapest form of grid-scale energy storage to date." "Even if we wanted to run the grid on renewables right now we couldn't, because you'd need fossil-fueled turbines to make up for the fact that the renewable supply cannot be dispatched on demand," says Asegun Henry, the Robert N. Noyce Career Development Associate Professor in the Department of Mechanical Engineering. "We're developing a new technology that, if successful, would solve this most important and critical problem in energy and climate change, namely, the storage problem." *Ah... Rs please note: the underclass will vote again in future elections.